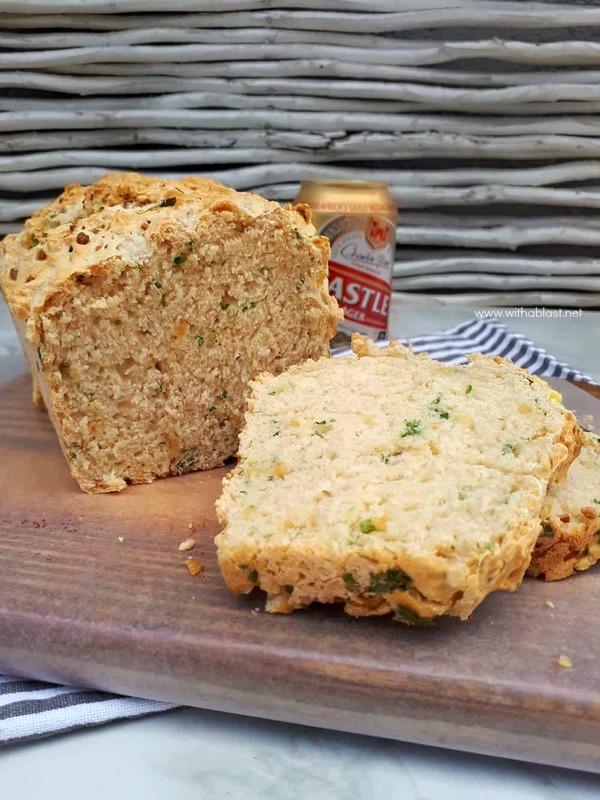 Tasty, quick and easy, mix and bake recipe for a Garlic and Parsley Beer Bread to serve as a side instead of dinner rolls or as a snack. The only breads which I have ever baked was the quick-and-easy type and this recipe is no different. 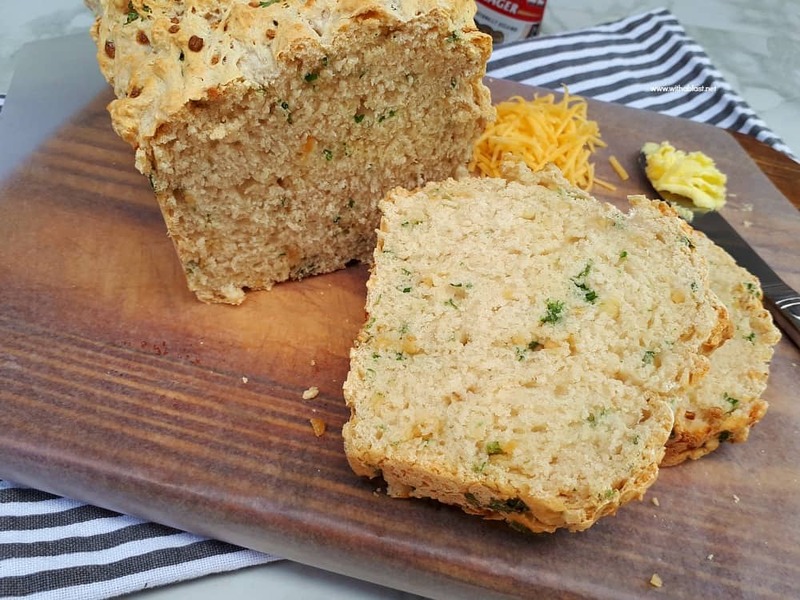 Garlic and Parsley Beer Bread is a firm favorite with my family, especially just out of the oven with a generous slap of butter ! If there is one thing that I find irritating to work with, it is yeast and the waiting for the dough to rise. 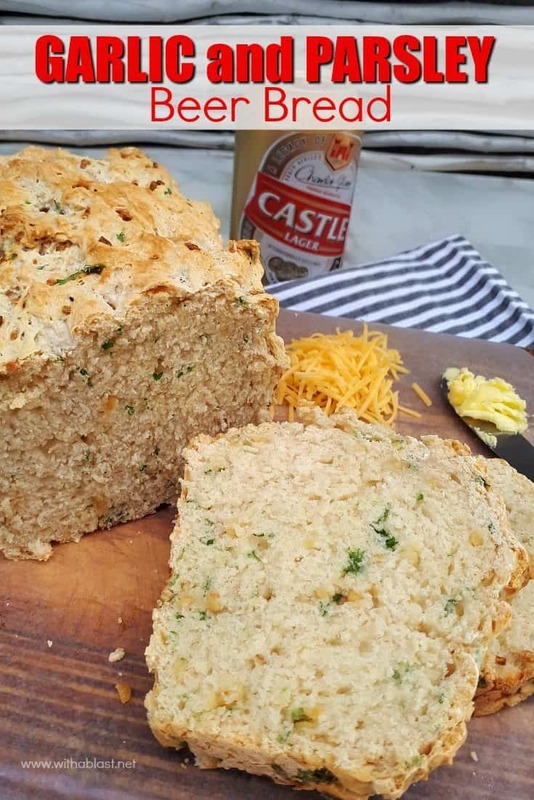 I baked this beer bread the other day because we wanted something to snack on. But you know, not the normal snacks and I had freshly baked warm bread on my mind. Paging through an old Tupperware recipe book, brought me to the recipe which I am sharing today. The original recipe only consists of the first 4 ingredients, but as usual, I had to go add more stuff (good stuff!). 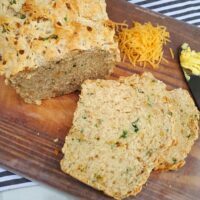 However, if you only want the plain Beer Bread only use the 4 ingredients listed first and leave out the Garlic and Parsley, or add something else ! You can serve the Garlic and Parsley Beer bread as a snack with butter and a slice of cheese, as a side instead of a dinner roll or with any toppings which go well with Garlic and Parsley. Oh, and best way to eat this – warm, thickly sliced with lots of butter ! Best eaten on the day the bread is baked. Oooh, this needs to be made asap! I'd love for you to come share this at our Pinteresting Party! Although I don't like beer, I'm often amazed at how good things taste when cooked in it. Of course…I pinned this because it looks dense and delicious! I love homemade bread 🙂 I love how easy this one is! Yummm! I love quick breads! I used to bake yeast breads all the time and loved doing it, but I just can't be bothered waiting for the dough to do it's thing anymore. Can't wait to try this! 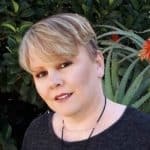 Thanks for sharing it! I love beer breads! They are a lot quicker than yeast breads, though not instantaneous.